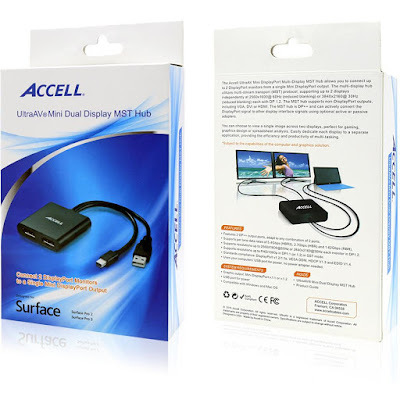 Super Duper Gamer Team Entertainment: Accell UltraAV Mini Dual Display MST Hub... reviewed! 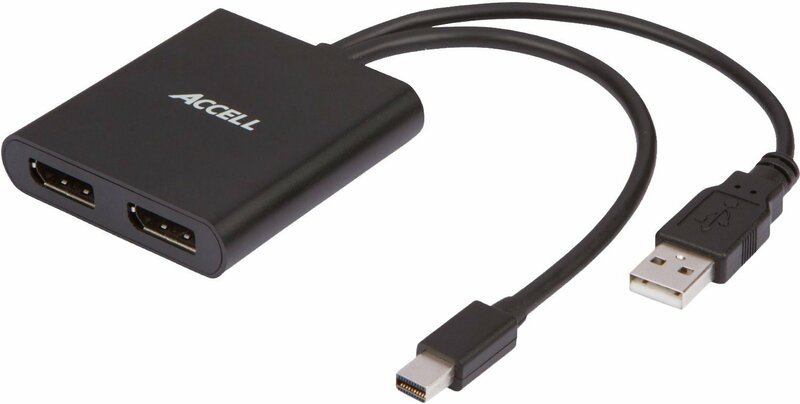 Accell UltraAV Mini Dual Display MST Hub... reviewed! Multiple Displays on the go. This is officially the first hub review we've ever done... but this is for those of you with Microsoft Surface Pro 2 & 3 (primarily) and even those with alternate hardware running Windows or Mac like myself. Basically, this product will give you the ability to use 2 monitor's through one device. It has display port connector's... but you can use adapter's that allow you to use it with VGA (if you still use VGA), DVI or HDMI. It allows for a cloned or extended display... which is awesome because some gamers don't have multiple ports to utilize more than one display. Don't worry about seeking an additional plug outlet either... you only need a USB port & a Mini Display Port (v.1.1 Or v.1.2) or an adapter that can connect the mini display port. 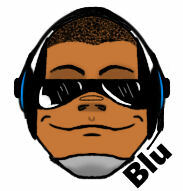 Results will vary based on how capable your hardware is... so expect better or worse based on specs. It supports up to 2 displays independently at 2560 x 1600 @ 60Hz & 3840 x 2160 @ 30Hz (reduced blanking) each with DP 1.2. Supports resolutions up to FHD/1080p in DP1.1 (or 1.2) in SST mode. Standards compliance: Display Port v.1.2/1.1a, VESA DDM, HDCP V1.2 and EDID V1.4. What comes inside the box is the UltraAV Mini Dual Display MST Hub (of course), the product guide and... that's it. That's fine... but for $79.99... I don't know, it should come with some adapters included connecting to the multiple ports its compatible with. Since it doesn't... I can't give it a thumbs up regarding the price because there are comparable devices that will accommodate for a lower price that will get gamers what we need for a dual display experience. So Accell should definitely consider this when it comes to their hubs. On other websites the product is about half the price, so you don't have to get it directly through Accell's website, but... for their sake, they should consider adding more to justify the price at release. Overall, being able to toss this device in my bookbag to connect multiple displays where ever I need to be... is pretty cool. By the way, for those of you thinking "But... don't you need to have monitor's on hand in order to make it worthwhile at your destination?" you'd be right. If I don't have monitors at my destination, all I need to do is pack some USB powered portable monitor's and I'm good to go (because they are powered via USB). If you are someone who really benefit's from using multiple monitors and you travel a lot... then this is the way to go to maintain your productivity with your usual workspace. Either way, having a device like this, comes in handy whether at home or on your travels... just make sure you have a nice cushy bookbag to keep those portable monitor's protected.